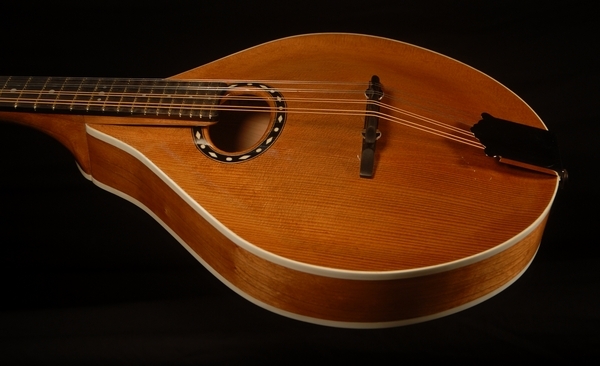 This mandolin has an "A" body style with an oval sound hole. 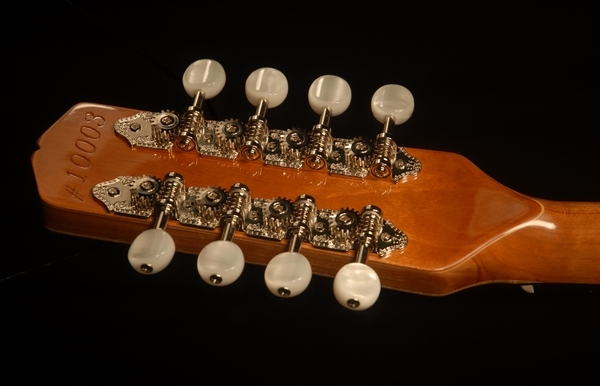 The tops and backs are hand carved and graduated for optimum voice. Unlike traditional mandolins This instrument has the fingerboard extention foating over the top more like an archtop guitar. This leaves a larger area of the top free to resonate.